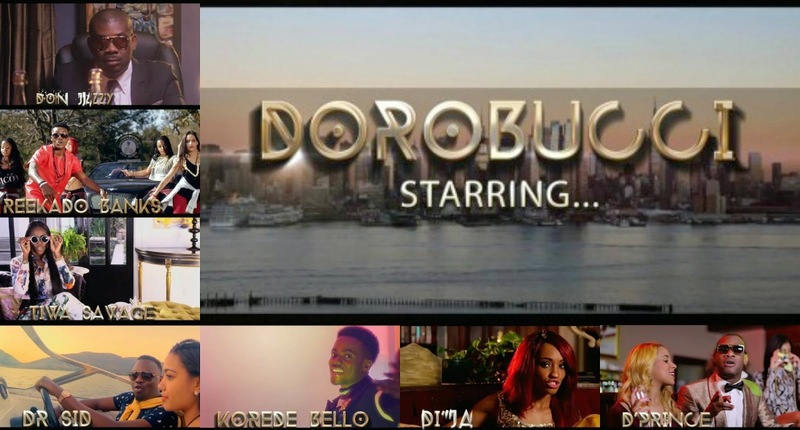 Jam-packed into 16 seconds is the official trailer to the highly-anticipated music video to ‘Dorobucci’, from the MAVINS. The music video sees Don Jazzy, Tiwa Savage, Dr Sid, D'Prince, Korede Bello, Di'Ja and Reekado Banks all appear in the Nick Roux-directed clip set to premiere on Channel O Africa on July 22 at 12noon (Nigerian time). Shot in South Africa, head boss of The MAVINS took to his Instagram page to announce the premiere of the video with the caption stating: "#DoroAnnouncement The official video for TheMegaSuper hit record #Dorobucci premieres tomorrow on @ChanelOAfrica at 12:00pm NG time. Let's go!!! #MAVIN #323 #WeUp". The song on it's own is huge, from seeing people make up their own dance moves to it, and doing their own covers - a contestant who auditioned on the latest season of Project Fame West even done his own rendition of the song, which made it's way around social media within hours since it hit the web - watch HERE. Watch out for the videos premiere tomorrow - until then, watch the 16 second trailer to ‘Dorobucci’ below.